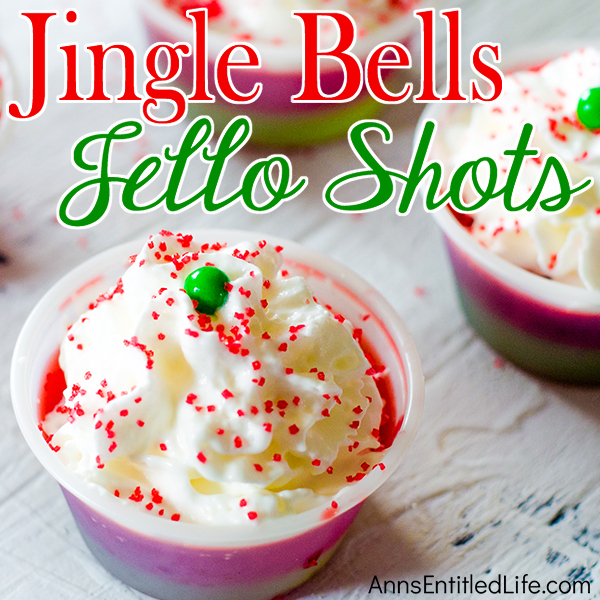 These fun and festive Jingle Bells Jello Shots are easy to make. 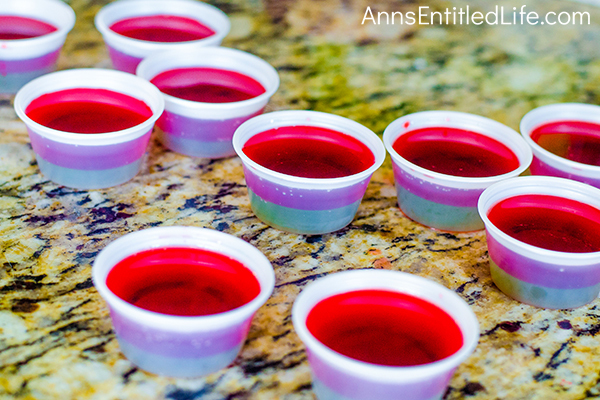 If you have a holiday get-together and/or party between now and the holidays, make these gelatin shots for the over 21 crowd!! They really are good. And they will remind everyone of when they were 21 (or 18) again! 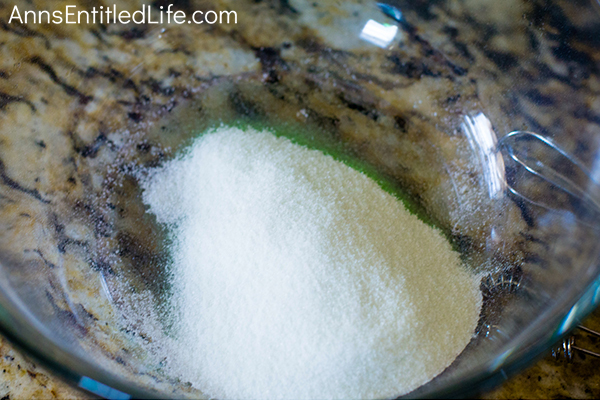 • Add one packet green apple gelatin; whisk until dissolved. • Add one cup apple schnapps liquor; whisk to combine. 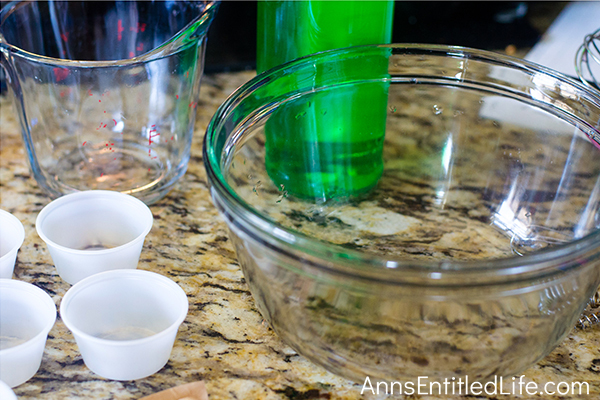 • Fill 20 two-ounce shot containers (disposable soufflé containers were used) approximately half of the way full. • Add one small box of strawberry flavored gelatin; whisk until dissolved. • Add one cup rum; whisk to combine. • Fill 20 two-ounce shot containers (disposable soufflé containers were used) close to the top. Allow some headroom and do not fill to the top. • Refrigerate until set, approximately 2 hours. 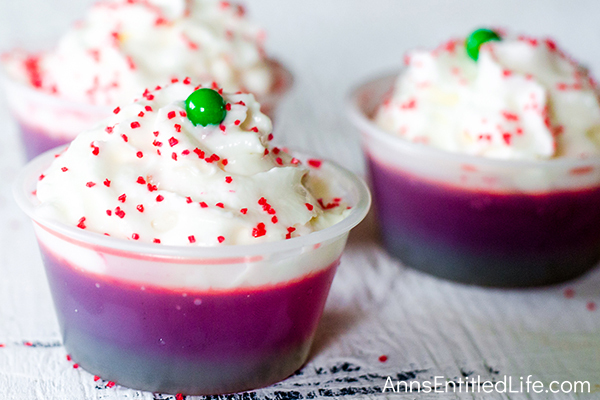 • Top with whipped topping, sprinkles, green pearl sprinkle when ready to serve. • If you don’t have green apple schnapps in the house, Crown Royal apple is a nice substitute. • Eggnog Jello Shots Recipe – made with… eggnog! 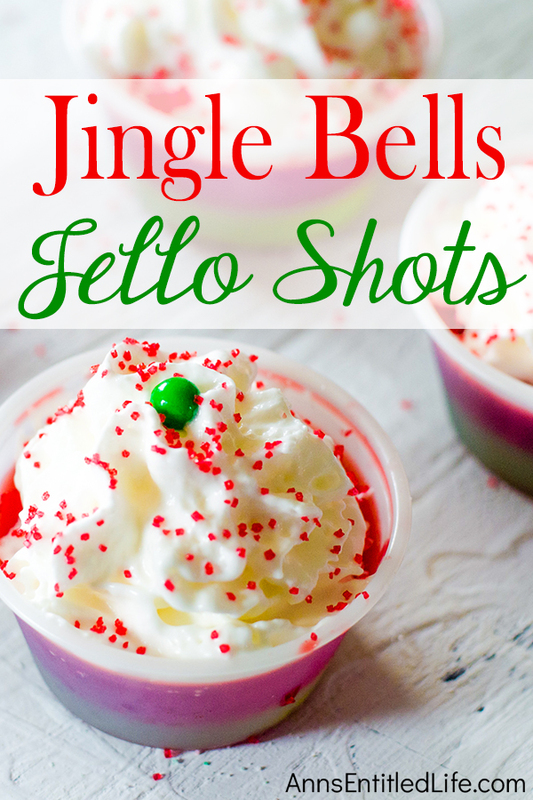 • Christmas Cookie Jello Shots Recipe – one of my most popular Jello shot recipes! • Pumpkin Pie Jello Shots Recipe – you could eat ’em with a spoon! 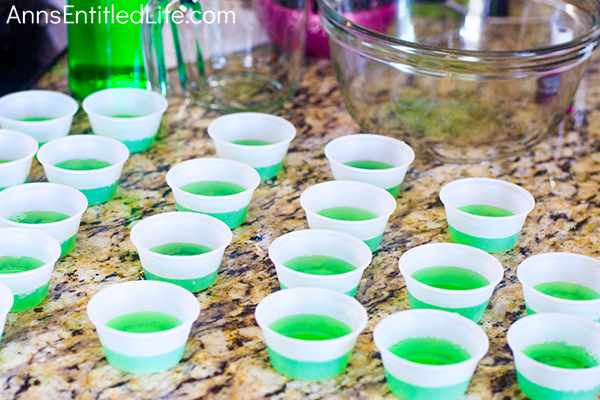 • Apple Pie Jello Shots Recipe – an extremely popular jello shots recipe. Jello shots are very popular party “drinks.” Everywhere you turn someone has a Jello shot recipe. But, in a bit of irony, most “Jello” shot recipes are not made with “Jello” (Kraft) at all… they are made with unflavored gelatin, usually Knox (Unilever) or store brand. 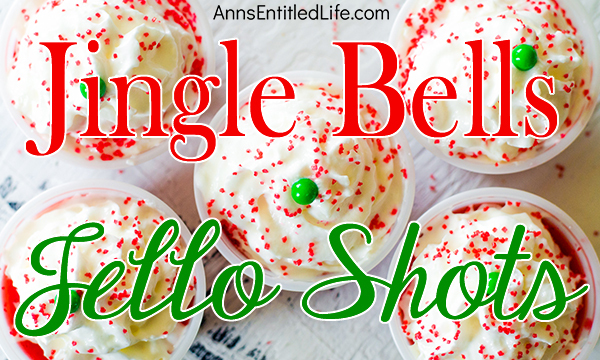 • To print the Jingle Bells Jello Shots recipe click here.